Science is “under siege,” the world’s top scientists and educators heard repeatedly at a major science conference of the American Association for the Advancement of Science. 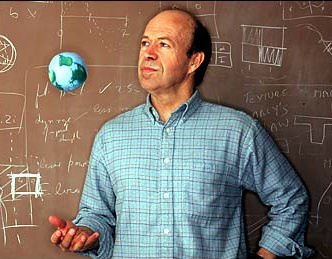 Scientific solutions are needed to help solve global crises – including food and water shortages, disease and environmental destruction — “but the public now does not understand science,”American scientist and climate-change activist James Hansen told the annual meeting in Vancouver of the prestigious organization. “We have a planetary emergency, and very few people recognize that,” Hansen told a plenary session aimed at helped the world’s top scientists better communicate their work to the public. “Flattening the world – building a global knowledge society” was the theme of the meeting held in Vancouver, attended by some 8,000 scientists and hundreds of journalists from 50 countries. “It’s about persuading people to believe in science, at a time when disturbing numbers don’t,” said meeting co-chair Andrew Petter, president of Simon Fraser University. Scientists wrangled with thorny issues such as censorship, opposition from American religious groups to teaching evolution and climate science, and the quality of science education. Politicians, environmental activists, educators and the public – especially in the United States where surveys show scientific literacy declining – came under criticism. “Fewer people “believe” in climate change each year” in the United States, she noted, while parents in some countries refuse to have children vaccinated against deadly disease because they fear a myth, long disproved, that vaccines are linked with autism. “We have to plan for a future, considering the risk of climate change, with 9 to 10 billion people,” said Hans Rosling, a Swedish public health expert who combats science ignorance with catchy videos. Rosling, famous for his Ted Talk and Youtube videos that draw millions of viewers, said it’s naive to think that humanity can easily go backward in history. “I get angry when I hear people say in the rainforest people live in ecological balance. They don’t. They die in ecological balance,” he said, pointing to charts showing how human populations changed with technology, and how without science the majority of children in any family die. During the AAAS meeting controversy erupted over whether research on a mutant form of the “bird flu” virus by American and Dutch scientists- which is potentially capable of spreading in humans – should be made public. Last fall American security authorities asked scientists not to publish details of their research, for fear the information could fall into the wrong hands and unleash a flu pandemic. “I would not be in favor of stopping the science,” Fedoroff said in Vancouver, just before bird flu experts meeting at the World Health Organization in Geneva agreed to an indefinite moratorium on publishing, to allow for public discussion and for scientists to examine the risks. “It’s not about politics, it’s about science,” said Alan Leshner, association CEO and executive publisher of its journal Science, one of the world’s top peer-reviewed journals. But he added, in an interview, that the association is increasingly reaching out to the public. For example, he cited the record number of 6,000 Vancouver school children who attended free public science events during the conference. Leshner said young scientists are newly happy to engage in public events, unlike previous generations of scientists who scorned public involvement or media exposure. “Young scientists now want the public to understand what we do,” he said.